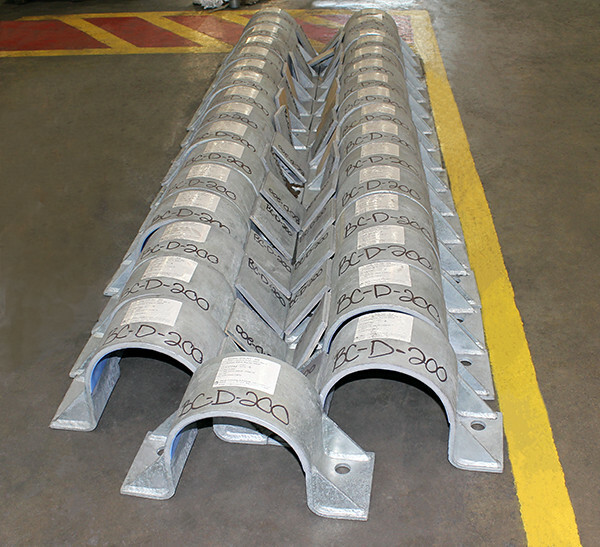 Hold-Down Pipe Clamps with Slide Plates for LNG Service | Piping Technology & Products, Inc.
PT&P designed and manufactured standard HD-2 hold-down pipe clamps for an LNG plant in Australia. 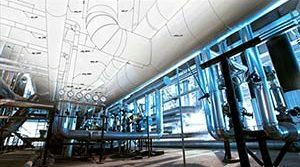 They are fabricated from hot-dipped galvanized carbon steel and include PTFE slide plates. 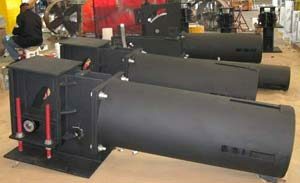 The hold-downs are designed for 8″ diameter pipe and an operating temperature up to 400°F. The HD-2 is a restraint type hold down which allows axial movement while restraining lateral movement.